Photograph by Rob Hornstra. Sochi, Russia, 2009 – Every year, Mikhail Pavelivich Karabelnikov, 77, travels three thousand kilometers from Novokuznetsk to take his vacation in Sochi. He was a miner for thirty-seven years and gradually worked his way up to foreman, in charge of some 150 miners. His promising career came to an abrupt end when he refused to become a member of the Communist party, he says proudly. From the book: An Atlas of War and Tourism in the Caucasus (Aperture, 2013). 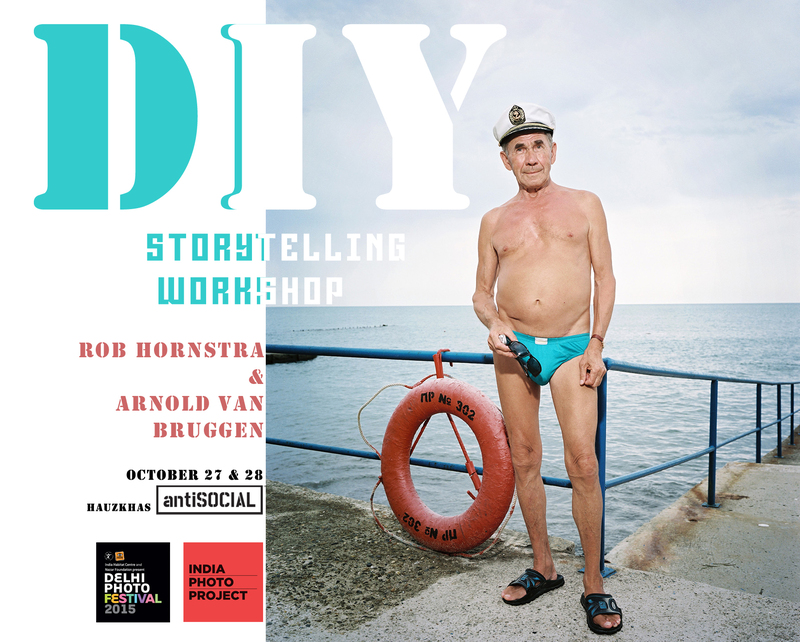 Join Rob Hornstra and Arnold Van Bruggen for a two-day intensive workshop at the Delhi Photo Festival. This workshop is for photographers, designers and storytellers who wish to learn how to construct and present long-term photography projects. This workshop is about what we all desire as storytellers and photographers: Freedom. Freedom creates opportunity. Opportunity makes your future. Over the course of two days, Rob will outline how the Internet and digital printing techniques have opened up endless possibilities for self-published work. The curriculum will also address how to attract an audience to your project, collaboration between photographers and writers, crowd-funding and the process of slow journalism. This workshop’s main objective is to help students in creating independence and become liberated photographers and publishers, ready to begin sharing their stories with the world. Arnold will talk about transmedia, new media and collaborations. Since 2009, photographer, Rob Hornstra, and writer, Arnold van Bruggen, have collaborated on The Sochi Project, documenting the Russian city of Sochi before it enters the global spotlight as the site of the 2014 Winter Olympics. In this workshop, Rob will share his insight into the funding and marketing by using The Sochi Project as an example of a self-published photo project. We will be offering scholarships for two participants. This will be a need-based scholarship and applicants will need to submit a separate letter to apply for the scholarship. Once we have received your application, we will send you a confirmation email within a few days.